Do not have a food deprivation list of foods that you can’t eat. Determine if the foods that would be on your food deprivation list are trigger foods, or not. If they are not trigger foods, then find a lower calorie substitution for them that you enjoy, or find ways to add smaller portions of them into your lifestyle. Lifestyle solutions work long term. If they are a trigger food that will lead to binging, you might have to make a food policy that says, “I am not depriving myself of this food, but I have found that this food does not work for me. It will cause me to binge and gain weight. This is not what I want to do, so I am choosing to not eat this food. There are many more foods that I love, that will not cause me to lose control! This is not food deprivation, but using healthy thinking and this puts you in control! Check out the strategies of “Box it in” or “Box it out”, to deal with foods that cause you problems. These were developed by Stephen Gullo, and are addressed in his great book “The Thin Commandments Diet”. I have included a write up about these strategies on this site! This is one of my Top 10 Recommended Books to read! Learn to develop great positive self talk or helpful thoughts, and talk back to sabotaging thoughts. Do not buy foods that you do not want to eat. This is the simplest strategy to avoiding food deprivation. If you buy your favorite cookies, and have to constantly see them in your cupboard, you will constantly be facing having to deny yourself. Skip the aisles in the store and just shop the outer perimeter! Do not skip breakfast or lunch, as skipping meals leads to cravings. Find new ways to reward yourself that do not involve food. My new rewards will be_____________________. Fill in the blank! These strategies are lifestyle solutions to end food deprivation. It is easy to look through the list and agree with each one and say, “Oh sure, I can do that one, and that one, and that one.” They are not all easy. Our thoughts can be relearned, but this can be a difficult process. If your thoughts continue to be a problem, I would encourage you to seek out a qualified therapist that practices “Cognitive Behavior Therapy”. It could change your entire life! One of my Top 10 Recommended Books to read to help end food deprivation, is Stephen Gullo's, "The Thin Commandments Diet". 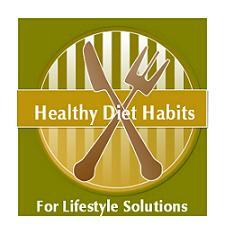 Check out his “Box it in” or “Box it out”, food strategies, to deal with foods that cause you problems. You can purchase his book below, directly from Amazon.com.